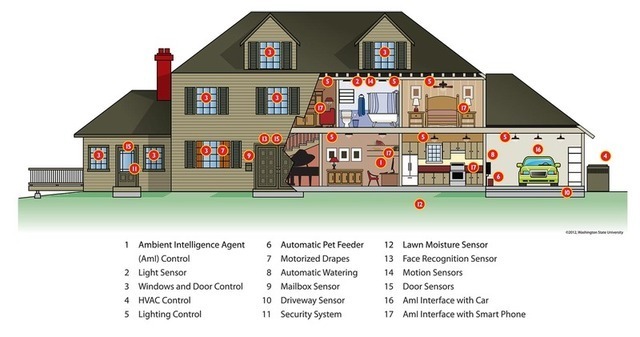 Just what does the description, “smart home” mean? 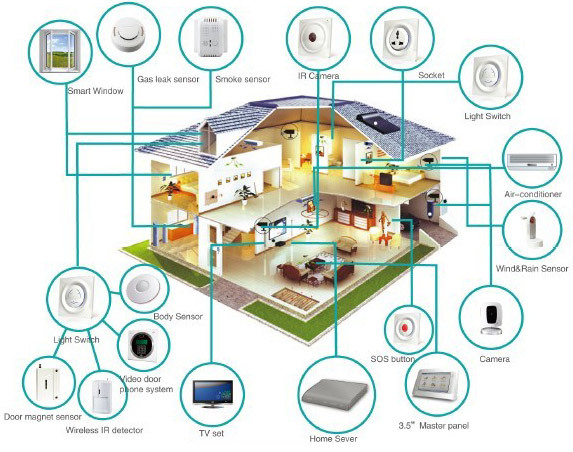 “Smart Home” is the term commonly used to define a residence that has appliances, lighting, heating, air conditioning, TVs, computers, entertainment audio & video systems, security, and camera systems that are capable of communicating with one another and can be controlled remotely, or by a time schedule, from any room in the home, as well as remotely from any location in the world with cellular and internet connectivity by cell phone, tablet or computer. The smart home concept first came onto the scene around the mid 1980’s. At that time, the thought was that all the smart appliances and controls would have to be hard wired with copper wire. Fast forward to today, and now everything is wireless, and operates through a hub controller than is connected to the internet. Most homes today have their own wireless network that is controlled by a wireless router connected to the internet through a cable or phone modem. This lets you wirelessly access the internet with your computer or tablet anywhere in the house, and may also wirelessly connect your computer to your printer. With this system in place, you already have the basis you need for a smart home. There is another piece of hardware you will need to make your home smart, that is, a smart home hub. The hub acts as the brain of the smart home, communicating with individual devices and appliances, and telling them what you want to do. Additionally, the hub provides unifying software through an app for a smart phone or tablet, which allows you to remotely control the smart devices from anywhere in the world with cell or internet connectivity. It sounds a bit complicated,, however, most of these systems are “do it yourself” and are not too difficult to set up, especially if you are a savvy smart phone user. 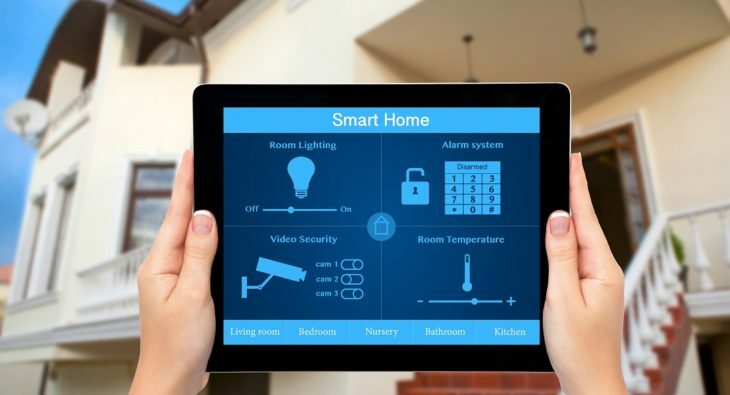 There is a plethora of smart home devices made by different companies, using different proprietary hub software protocols to control their gadgets, and therein lies the problem. Not every gadget you want to have in your smart home will be controlled by the same protocol. I believe at some point in the future, there will be only one or two protocols that will control all smart home gadgets. But for now, you have to either select a company with a set of devices that you want, or, select devices from different companies and use more than one control protocol and hub. There are some hubs with an open API (application program interface) to its software, which means a new device manufacturer can write software to make their devices work with the hub, without the hub manufacturer having to change its software to make it compatible with the new device. This compatibility with third party software services can extend the functionality of your devices and unlock new interoperability between devices, so this may be the best type of hub to use. Now that we have a handle on how the system works, let’s look at how it can make life easier, save some time, and possibly prevent a catastrophe or two. What’s really great about smart home technology is that it can be controlled remotely and that you can create scenarios where groupings of devices will turn on and off together with a single control input. For example, you can have an “Away” scenario for when you leave the house and a “Return” scenario for when you arrive back home. So when you leave, you simply use one control input on your phone or control tablet, and the lights automatically turn off, the door locks, the garage overhead door closes and the alarm sets. When you return, and your smart home senses your presence due to the GPS in your phone, the lights turn on, the door unlocks, garage overhead door opens and the alarm is disarmed. You can also create a “Good Night” scenario where lights turn off, thermostat setting is reduced, doors lock, garage overhead door closes, and alarm is set, all through one control input. In the morning, there will be a “Wake Up” scenario, lights slowly come on, wake up alarm goes off, thermostat setting increases, your favorite radio station comes on, and the coffee starts percolating. This can happen by programming in a wake up time, and does not require a direct control input. These are just a few examples of many possibilities. The smart home can also alert you to potential problems. For example, a moisture sensor placed strategically in an area prone to leaks, will alert you by cell phone if moisture is detected. If your smart sump pump stops working or the smart smoke detector senses smoke, an alert will be sent. An alert can be sent if a door or window is opened. You can also remotely double check to be sure your windows and doors are locked when you are away from home. 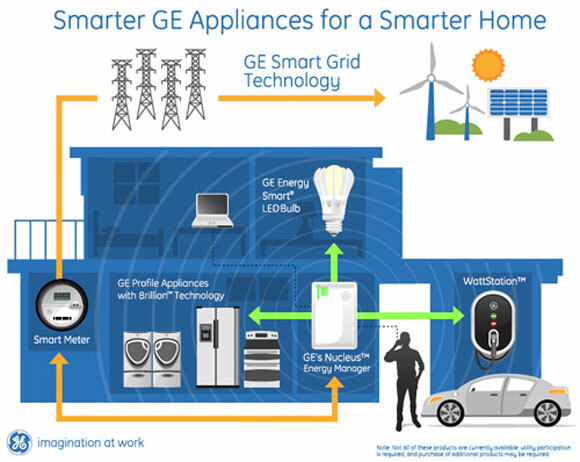 Equipment, like your sump pump, and appliances, like your coffee maker and crock pot, become smart by plugging them into a “smart” plug that plugs into your standard outlet, and is connected wirelessly to the control hub. A sensor is attached to your door and window to let the system know when they are opened and not locked. As to security, a smart door lock can be unlocked remotely using your cell phone or tablet. This may come in handy if the kids forgot their key, or an emergency repairman needs access. If you have a burglar alarm, it can also be armed and disarmed remotely. And if you want to keep an eye on things while you are away, using your smart phone or tablet, a video cam can be connected to the smart home system, and a record of the video footage can be stored. Fooling a burglar is easy when your smart home can randomly turn on and off lighting to simulate someone being home. It is very important to check out the smart phone app that controls the smart home to be sure it is intuitive and not difficult to use, especially since you will be likely using it every day for controlling and monitoring. The app should also let you easily add new devices and set up new scenarios. Nothing can be more frustrating than unwieldy software. It is also extremely important to use strong passwords to access the smart phone app to prevent hacking into your system. 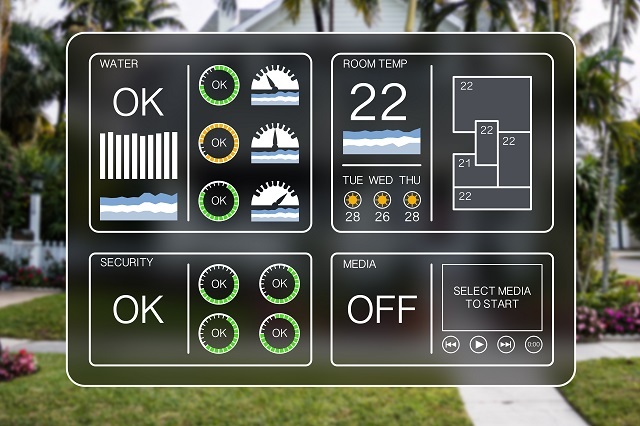 Most smart technology companies also have a mobile control panel made just for the smart home system, similar in size to a tablet that you can mount on the wall, or carry with you from room to room, so you don’t have to carry your cell phone with you when you are home. If you want to take a look at what smart home technology is out there, you can check out Nexia Home Intelligence, Smart Things, Apple HomeKit, and Insteon to name just a few. 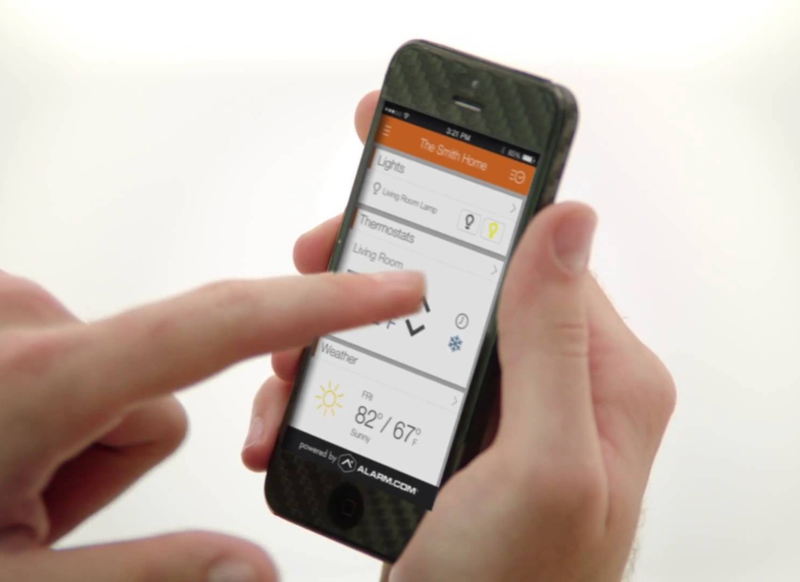 Auto manufacturers are also beginning to incorporate smart technology into cars that can link up with the smart home. As to cost, a basic system will set you back about $2,000 for a hub, five smart light bulbs, five smart outlets, one smart door lock, two moisture sensors, one smart thermostat, and two video cams. This presumes that you already have a smart phone and a wireless network in your home. A word of caution, smart home technology is changing and improving rapidly, so it will be a judgment call as to when the best time would be to dive into this technology.